The health benefits of lemons are due to its many nourishing elements like vitamin C, vitamin B6, vitamin A, vitamin E, copper, calcium, iron, magnesium, potassium, zinc, phosphorus and protein. Lemon also contains antioxidant and cancer fighting properties. 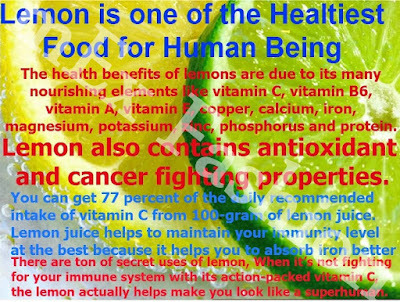 Lemon is one of the healthiest foods for human being. You can get 77 percent of the daily recommended intake of vitamin C from 100-gram of lemon juice.Lemon juice helps to maintain your immunity level at the best because it helps you to absorb iron betterThere are tons of secret uses of lemon. When it’s not fighting for your immune system with its action-packed vitamin C, the lemon actually helps make you look like a superhuman. Bug bites and mosquito bites- apply lime juice as an emergency medicine. Dandruff- Mix fenugreek seeds with soap nuts and lime juice. Massage your scalp with the mixture before thirty minutes of bathing. Gum problems- Gum diseases are generally caused due to deficiency of vitamin C. Regular consumption of lemon can prevent gum disorders. Hair conditioner- After Shampoo, wash your hair with lemon water. (fresh juice of a lemon in 2 to 3 litter of water). That will remove surplus lubricant concealed by the scalp and removes dandruff. Lips: Apply lemon juice on lips before bedtime. Simply rinse off, when you wake up. 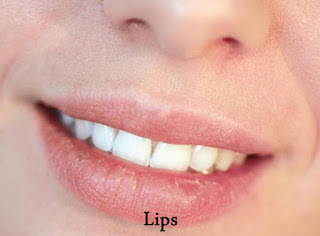 Apply some fresh lime juice, and then apply egg white on the pimples over the layer of lime juice. Wash it with mild hot water and mild face wash. Mix roasted pomegranate peels powder with lime juice to make a paste. 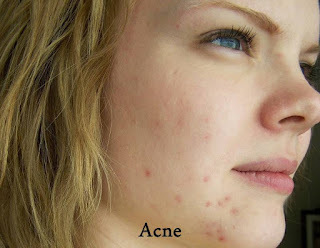 Apply this mixture to your pimples and see them vanish in almost no time. Mix some fresh lime juice to milk and wash your face with it as you do face-wash. This natural face wash made of milk and lime can prove a great therapy to get rid of it. Dry skin- Add juice of a fresh lime and a teaspoon of glycerin in one glass of boiled whole milk. Wash your face with the mix. Weight loss Drink a glass of warm water with fresh lime juice and a spoon of Pure honey in the morning before breakfast to reduce weight. Wrinkles and lines under the eyes- Apply a gentle massage using a mixture of lemon juice and olive or almond oil, from under the outer corner of the eye toward the nose and upward diagonal direction from outer corner of the eye. It is strongly advised to check with your doctor about any side effects of lemon. Never mix lemons with milk, mango and tomatoes. One should avoid Lemon who has a peptic ulcer. 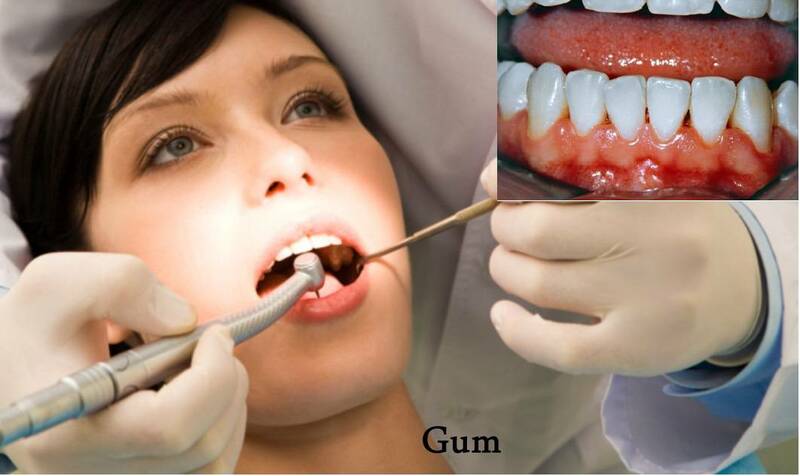 Lemon juice may effect on gloss, color and irregular dental tissue on tooth enamel.